Cosmetic surgery in Charlotte, NC comes in many forms, but there are several general rules about getting it. You should make sure the person performing the surgery has lots of experience and a track record of success, as shown in before and after photos. And several weeks before the surgery,you should stop smoking and drinking, and avoid taking aspirin, ibuprofen, vitamin E or herbal supplements that might cause blood thinning. Follow your cosmetic surgeon’s advice during recovery. Cheek and chin implant surgery is a common form of cosmetic surgery, because strong cheekbones and a well-defined chin are a mark of attractiveness in both men and women, if they aren’t overdone.Cheek implants can correct a certain amount of asymmetry in the facial bones of the face. It takes about three weeks to completely recover from this procedure. Eat soft foods for at least the first week. 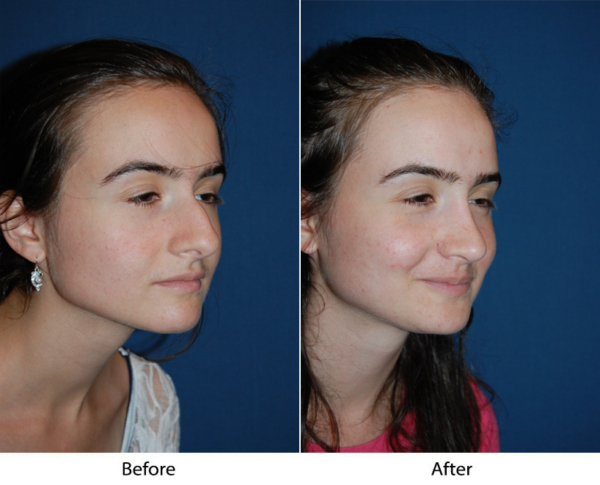 A weak chin makes the nose look bigger than it is, so many people who ask for a chose job really need a chin implant. Ask your cosmetic surgery professional if this is the case. If the right implant for your face doesn’t already exist, the surgeon will have one custom-made, then cut a pocket in the bone and insert the implant. Lip enhancement is one of those forms of cosmetic surgery that gets a lot of bad press in the form of horrifying photos of operations gone wrong. The important thing is to make sure your cosmetic surgeon knows what he or she is doing. Lips are one of the most mobile and expressive parts of the face. A small and subtle change is usually enough to make them as perfect as they’ll get. If you want your upper lip to be slightly shorter and look a little fuller, the surgeon may make an incision under your nose, remove a sliver of excess skin and tighten the muscles. If you want lips that really are fuller, the surgeon may add collagen to the skin of your lips. Dr. Sean Freeman is the best surgeon to go to in order to get a cheek or chin implant in Charlotte NC. He has been certified by two different surgery boards, the American Board of Otolaryngology (head and neck surgery) and the American Board of Facial Plastic and Reconstructive Surgery. He has done only facial plastic surgery since 1988, including everything from laser tattoo removal to port wine stain treatment, and chin and cheek implants. He hasn’t had to take out a chin implant in twenty years. If you want a chin or cheek implant, or any other form of facial plastic surgery, make an appointment with his office today or schedule an online consultation for a discount on the consultation fee.